Calvary Baptist Academy (La.) hosted Notre Dame defensive backs coach Todd Lyght earlier this week as he was checking on 2020 cornerback Eric Reed‍. The 6-foot-1, 200-pounder got good news as he added a Notre Dame offer to his list of Duke, Kentucky, Louisiana Tech, LSU, Ole Miss and Virginia. While Notre Dame has pulled a couple receivers from Louisiana over the last two years, Reed knows the Irish don’t come down to Louisiana often and the fact Lyght made the trip meant a lot. When it comes to his game, Reed is a physical cornerback, but he also prides himself on not showing weakness. During the offseason, Reed will work on tuning up his game for his senior season and it starts with the basics. 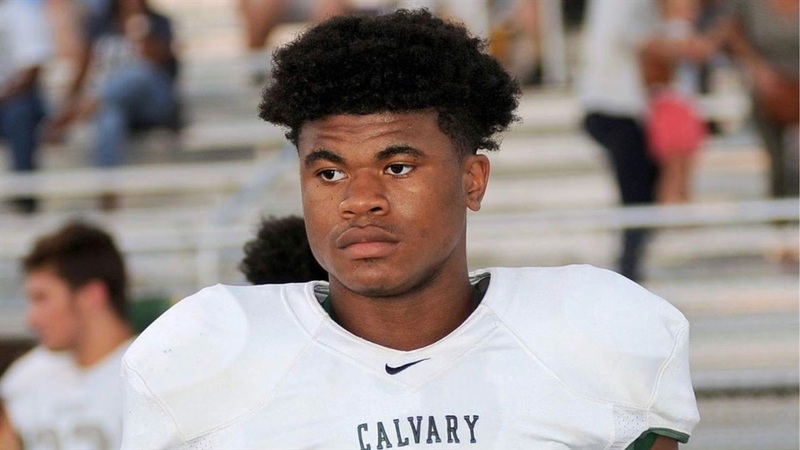 On the recruiting front, the Calvary Baptist Academy star is seeing his offer list grow and is building relationships with the programs recruiting him. The obvious question for Reed is how much does the LSU offer mean? Reed wasn’t bashful to admit he is an LSU fan and comes from an LSU family, but it also won’t have an impact on where he goes to school. Notre Dame will get a shot to impress Reed as he’ll be on campus soon. “I plan on taking a visit for Junior Day to Notre Dame in February,” Reed said.